Enter your email address below to subscribe to our Latest News email alerts. Please be advised that the revised Model EPSC with the updated Article 34 is now on the website. Please be advised that the revised Terms of Reference, inclusive of the updated Bid Bond form, is now on the website. Please be advised that the final bid documents have been published. For more information on the Data Package and payment information, please refer to Chapter 2,. . .
Sinochem Petroleum Exploration & Production Co. Ltd.
A committee was formed by the Ministry of Mines to review the eleven Expressions of Interests (EOI) submitted before the June 15, 2009 deadline. The committee focused in particular on the financial standing, the average daily operated production and the experience in dealing with gas containing high H2S (sour gas) for each of these companies. The pre-qualified companies are required to keep the MoM informed of any material change that may affect their pre-qualifications. The MoM reserves the right to change the pre-qualification status of any company based on the occurrence of any event, or the availability of any new or previously undisclosed information, that may affect a company’s ability to perform its contractual commitments should it be awarded one or more blocks in Afghanistan. Eleven companies from eight different countries submitted EOI before the June 15, 2009 deadline. A list of pre-qualified companies will be announced by the Ministry of Mines on July 01, 2009. A copy of the minutes of the official document listing the 11 companies can be reviewed in the Documents section of this web site (https://www.afghanistanpetroleum.com/documents.php?cat=1). Sinochem Petroleum Exploration &Production Co. Ltd.
Pre-qualification applications shall be opened by the Ministry of Mines on 15 June 2009 at 1400 hrs during a public procedure. The applicants themselves, or their respective authorized representatives are welcome to attend the proceedings. However, attendance at the proceedings is voluntary and the evaluation of the applicants for pre-qualification shall not be affected by whether of not a party has been present during this procedure. The Ministry of Mines should be notified in advanced of the names of any representatives who wish to be present at the opening of applications. The Ministry of Mines will ensure that minutes are kept of the opening proceedings. The names and addresses of all applicants or authorized representatives present will be recorded in the minutes to be signed by the representatives of the Ministry of Mines and all applicants or authorized representatives present. The minutes will, on request, be available for applicants after the application has been considered. The minutes will be prepared and disclosed in such manner that avoids disclosure of confidential commercial information. This entry lists a country’s mineral, petroleum, hydropower, and other resources of commercial importance. This site link above has great pictures and information about the mountainous territory where Osama bin Laden and the Taliban have held back the Soviet armies during the Soviet – Afghan war and recently against international forces. It is also the area where the emeralds and other gemstones are mined and it has lots of pictures that are very nifty, informative and interesting. Another nifty gemology scenic and written description of the area. Then, aside from way too much info I found, there were a lot of great photos in areas where Osama bin Laden had been seen or nearly caught including some beautiful lakes, valleys, very interesting towns with panoramio photos on the Google map. After looking at some of them, I decided to place some markers on significant places from news stories about Osama bin Laden and the emerald mines, lakes and a few towns plus the place where uranium mining is being conducted in Pakistan, so I could understand the relationships between them. It is interesting to see the little markets and the video from Lake Katora. Yeah, he’s really been roughing it . . . I made one of those Google maps with lots of good information but these links probably aren’t done quite right because the first one has too many photos and the markers that I placed. The second link may or may not be embedded correctly – I’m going to have to work on that. Below, is where I found the uranium mining location, however, there were a number of other references to it and to places where those uranium resources are being used to further the Pakistan security directorate. Pakistan’s civilian nuclear programme started in 1956 when the Pakistan Atomic Energy Commission (PAEC) was established, with the initial target of capitalizing on the U.S-Pakistan’s quest for acquiring the sensitive nuclear technology. U.S President Eisenhower’s “Atoms for Peace Programme”, and its first chairman was Dr. Nazir Ahmad. In 1961, PAEC set up a Mineral Centre at Lahore and a similar multidisciplinary Centre was set up in Dhaka, in the then East Pakistan. With these two centers, the basic research work started. The first thing that was to be undertaken was the search for Uranium. This continued for about 3 years from 1960 to 1963. Uranium deposits were discovered in the Dera Ghazi Khan district and the first-ever national award was given to the PAEC. Mining of Uranium began in the same year. Dr. Abdus Salam and Dr. I. H. Usmani also sent a large number of scientists to pursue doctorate degrees in the field of Nuclear Technology and nuclear reactor technology. In December 1965, then-Foreign Minister of Pakistan, Zulfikar Ali Bhutto visited Vienna where he met with known Pakistani nuclear engineer, Munir Ahmad Khan. At a Vienna meeting on december, Munir A. Khan informed Bhutto about the statue of Indian nuclear programme. 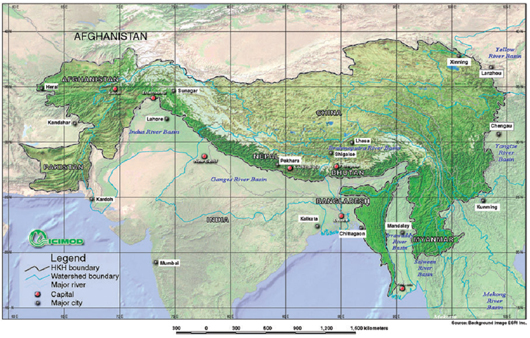 The Hindu Kush is a mountain range in eastern and central Afghanistan and north-western Pakistan. The highest point in Hindukush mountain region is the Tirich Mir (7,708 m or 25,289 ft) in the Chitral region of the North-west frontier Province, Pakistan. It is the westernmost extension of the Pamir Mountains, the Karakoram Range, and is a sub-range of the Himalayas. After historical military presence since the time of Alexander the Great, the recent Cold War caused the presence of Soviet and mujahideen fighters and then revolutionary Taliban. Currently Al Qaeda’s presence made the U.S. forces to shift their operation in the Hindu Kush mountain ranges. Unbelievable Unknown most beautiful Lake in Pakistan.The land of pashtuns hospitality. At an elevation of 2070m and about 100km from Mingora, Kalam was the center of an independant state in the 19th century. It was later taken by Chitral, and then given to Swat after the Partition. Today it is overwhelmed by an incredible number of tourist hotels, and Pepsi hoardings are everywhere. Day trips can be made from here to the alpine Mahodand lake and some of the most beautiful relatively low-altitude treks are also starting from here. Two of the best are the trek to Sor Laspur near Shandur Top in Chitral and another one starting from Gabral to Dir-Kohistan via the beautiful Kumrat valley. With the help of Mr. Rahim Azizi we prepared our expedition to Panjshir, seeking the support from some Panjshir valley elderly and other important people. After a short stop at the Massoud mausoleum near Bozarak village we arrived in Dach Te Rewat village. Ahmad Shah Massoud was one of the most famous Afghan Mujahideen commanders. He became very popular for his fight against the Soviets in the Panjshir valley and later against the Taliban. The Bismal mine in the Panjshir valley was apparently the place where in the early 1970’s, the first Panjshir emeralds were found by locals. These locals had gem mining experience from the Sar E Sang lapis lazuli mines. These famous mines located in the north eastern part of the Panjshir valley are known to belong to the oldest gem mining area on earth. Archeological work has shown that the lapis found in some 5000 year old Egyptian tombs came from this area. Currently emeralds are being mined in the Panjshir valley in three main areas: The Bismal-Riwat, the Ringe and the Mukeni-Zara Kel areas. During our visit to the Panjshir valley, we visited the Bismal mine and the Mukeni area. We were told that somewhere between 800 and 1200 miners were involved in the production of emeralds. One group was working at Bismal and about seven other groups were mining in an area called Yachnow. Around sixty groups were working in the Ringe area while in Mukeni and its neighboring Zara Kel area around 40 other groups were operating. Visited in the morning on June 28th 2006. We arrived there at 10am after a 2 hours walk. This tunnel is the oldest and the deepest tunnel (100m) in all the Panjshir valley as it was around here that the first emerald were found in Panjshir probably in 1973. Sixty groups were possibly working in the Khenj area while in the Mukeni and in its neighboring the Zara Kel areas around 40 other groups were operating. Globally one of the reason of the decrease of the number of miners is that the work is very hard and most of the successful miners after getting some money have settled in Kabul and are doing now another business less dangerous and less hard. On June 28th we started our expedition from Dacht Te Rewat village (35° 28 93N, 69° 48 78E, 2258 meters altitude) and walked for 2 hours and half to the Bismal mine (35° 28 72N, 69° 49 98E, 2690 meters altitude). We were told that this mine was the place where in the early 1970’s, the first Panjshir emeralds were found. The first successful Pansheri emerald miners were told us to be Pansheri with an experience of gem mining at the Sar E Sang lapis mines. The Bismal mine is in fact composed of several tunnels following a quartz albite rich vein. The main tunnel we visited was around 100 meters deep which reflect that these mines are among the oldest in the Panshir valley. It was a strait tunnel penetrating horizontally inside the mountain and nearly high enough for people to be able to walk inside, some consolidation work consisting mainly in stone walls was visible. The mine was worked by a team of 10 miners wearing the standard clothes of the Pansheri. After this visit to the Bismal mine we came back to Dacht Te Riwat village and took our car to go to Mukeni village a little bit lower in the valley. We then started again to walk for 2 hours in order to reach a small village (35° 25 33N 69° 48 55E, 2563 meters altitude) to spend the night. On the way we passed near the moudjahiddin jails were Massoud fighters were keeping their Russian prisoners. 3 ) Visit to the Panjshir valley emerald mines (June 2006). In the Panjshir they could witness some underground mining activity in the Bismal and Mukeni areas. The production in Panjshir seemed to be still strong especially in small sizes emeralds but the number of miners seems to have dropped compared to the 1980’s. Currently around 1000 miners are possibly working the Panjshir mountain large deposit. The prospective for the future looks good as new mines open regularly and seems to produce fine stones. In Jagdalek the official ruby production stopped 2 years ago. The Afghan governement is currently searching for investors to work the mines. Illegal mining looks to be present in the area keeping a week ruby production to find its way to the Peshawar gem market. Rubies are found in Jagdalek from marbles. Mines are not there underground, they are huge trenches. We visited some of these mining trenches in the Khalwat area as you can see on the numerous photos on this report. Afghanistan is a well known gem producing country hosting some of the oldest mines in the world. Its lapis lazuli mines at Sar e Sang as an example are known to have produce gemstones for the Egyptians and are still producing today. Emeralds from the Panjshir valley were also probably known at the time of Alexander the Great as the Bactrian emeralds reported by Theophrastus around 320BC ( Forestier and Piat, L’emeraude p 139-145; and D.Schwarz, G. Giuliani Emerald of the World p 61 to 63). Neverhteless it is during the 1970’s that Afghanistan has emerge as an important source for many gemstones. Russians geologists explored the mountains in search for strategic minerals for the Soviet Union then Mudjahedeen were mining to get income to fight the Soviets. During the last 30 years the country was a major source for lapis lazuli (Sar E Sang) and a noticeable supllier of rubies (Jagdalek), emeralds (Panjshir valley), tourmaline, kunzite, beryl and aquamarine (Nuristan). Art Keller, a blond, blue-eyed CIA agent, sits inside a decrepit building deep inside al-Qaeda territory, staring at his computer screen. He is forbidden by his Pakistani minders from venturing out into the badlands of Waziristan to help to find and kill the world’s most wanted man. He is sick and exhausted, and suffering from food poisoning. Back home in the US his father is dying of cancer. The plumbing is basic, the heat intense — the generator has failed again. He pores over cables looking for any scrap of information — an intercepted phone call, an aerial photograph — that might finally end the hunt for Osama bin Laden. Mr Keller was one of an estimated 50 to 100 CIA agents and special operations officers whose mission for the past eight years has been to find and kill bin Laden and other top al-Qaeda leaders in the hostile and forbidding Pakistani border region, where he is believed to be hiding. “Our role in the hunt was done entirely from in front of a computer inside the base,” Mr Keller says. When he wanted to follow up a lead, he would get in touch with a local Pashtun proxy to ask him to travel to a certain area to glean information. Not visited. We could see the mining area from the hight of the Mukeni mines on the other side of the valley. During summer 2006 possibly 20 groups of miners were working around here. Kunar (Pashto: ????) is one of the 34 provinces of Afghanistan, located in the northeastern part of the country. It borders Nurestan to the north-west, Laghman to the west, and Nangarhar to the south. In addition, there are the Nuristani tribes of Kalasha, Tregami, Kshto and Gramsana in smaller number as well, who have their own villages in the province. US soldiers near FOB (Forward Operating Base) Naray. U.S. Army soldier in Kunar Province. During both the Soviet occupation, and the more recent conflicts involving U.S., Afghan and NATO forces, Kunar has been a favoured spot of insurgent groups. Its impenetrable terrain, extensive cave networks and border with the semi-autonomous Pakistani North-West Frontier Province provides several advantages for militant groups. The province is informally known as Enemy Central by American troops. Like many of the mountainous eastern provinces of Afghanistan, the groups involved in armed conflict vary greatly in strength and purpose. Native Taliban forces mingle with foreign Al-Qaeda fighters, while mujahadeen militias, such as Gulbuddin Hekmatyar’s Hezb-e-Islami Gulbuddin, continue to operate as they did in the chaotic post-Soviet years. Another strong militia in the region is the Hezbi Islami faction of the late Mulavi Younas Khalis, who had his headquarters in neighbouring Nurestan Province. Compounding the problems of the province is an extensive criminal trade in smuggled lumber and other natural resources. This criminal activity is often organized along tribal lines, and has led to intense deforestation in some areas. Osama bin Laden has often been rumoured to be in the province, or close by. In an intensive military operation in summer 2005, called Operation Red Wing, American forces undertook a massive hunt for bin Laden and other senior Al-Qaeda leaders. While attempting to rescue four stranded Navy SEALS during the operation, 19 American Forces were killed when their CH-47 Chinook helicopter was shot down, representing the single biggest loss of American forces since their invasion of the country. Districts of Kunar Province District ? Capital ? Population ? Area ? Notes ? Asadabad 29,177 Is the Capital of Kunar Province, which includes Asadabad and adjacent towns, immediately surrounding the confluence of the Pech and Kunar Rivers. Dara-I-Pech 44,958 Commonly known as the Pech District or Manogai District. Wata Pur 28,778 Is the West portion of the labeled Asadabad Section. Shigal 33,781 is within the labeled Asadabad Section, East and North of Watapor. Asmar is between the labeled Asadabad and Dangam Sections, East and North of Shigal. Assadullah Wafa was the former governor of the province (replaced in Aug 2006). Asadabad hosts both an American Provincial Reconstruction Team office and a UNAMA development office. The Noorgal district is the first district of Kunar province. On the way of Jalalabad to Kunar that district come on the way- and first district of Kunar which has near with Jalalabad. Pakistan’s ISI and Special Service Group (SSG) were actively involved in the conflict, and in cooperation with the CIA and the United States Army Special Forces, as well as the British Special Air Service, supported the mujahideen. The theft of large sums of aid spurred Pakistan’s economic growth, but along with the war in general had devastating side effects for that country. The siphoning off of aid weapons in the port city of Karachi contributed to disorder and violence there, while heroin entering from Afghanistan to pay for arms contributed to addiction problems. In retaliation for Pakistan’s assistance to the insurgents, the KHAD Afghan security service, under leader Mohammad Najibullah, carried out (according to the Mitrokhin archives and other sources) a large number of operations against Pakistan. In 1987, 127 incidents resulted in 234 deaths in Pakistan. In April 1988, an ammunition depot outside the Pakistani capital of Islamabad was blown up killing 100 and injuring more than 1000 people. The KHAD and KGB were suspected in the perpetration of these acts. Pakistan took in millions of Afghan refugees (mostly Pashtun) fleeing the Soviet occupation. Although the refugees were controlled within Pakistan’s largest province, Balochistan under then-martial law ruler General Rahimuddin Khan, the influx of so many refugees – believed to be the largest refugee population in the world — spread into several other regions. Under Soviet guidance, the DRA armed forces were built up to an official strength of 302,000 in 1986. To minimize the risk of a coup d’état, they were divided into different branches, each modeled on its Soviet counterpart. The ministry of defense forces numbered 132,000, the ministry of interior 70,000 and the ministry of state security (KHAD) 80,000. However, these were theoretical figures: in reality each service was plagued with desertions, the army alone suffering 32,000 per year. The decision to engage primarily Afghan forces was taken by the Soviets, but was resented by the PDPA, who viewed the departure of their protectors without enthusiasm. In May 1987 a DRA force attacked well-entrenched mujahideen positions in the Arghandab District, but the mujahideen held their ground, and the attackers suffered heavy casualties. In the spring of 1986, an offensive into Paktia Province briefly occupied the mujahideen base at Zhawar only at the cost of heavy losses. Meanwhile, the mujahideen benefited from expanded foreign military support from the United States, Saudi Arabia, Pakistan and other Muslim nations. The US tended to favor the Afghan resistance forces led by Ahmed Shah Massoud, and US support for Massoud’s forces increased considerably during the Reagan administration in what US military and intelligence forces called Operation Cyclone. Primary advocates for supporting Massoud included two Heritage Foundation foreign policy analysts, Michael Johns and James A. Phillips, both of whom championed Massoud as the Afghan resistance leader most worthy of US support under the Reagan Doctrine. Eyvazov’s theory was later strengthened when the Taliban movement developed and formed from orphans or refugee children who were forced by the Soviets to flee their homes and relocate their lives in Pakistan. The swift rise to power, from the young Taliban in 1994, was the result of the disorder and civil war that had warlords running wild because of the complete breakdown of law and order in Afghanistan after the departure of the Soviets. The Islamists who fought also believed that they were responsible for the fall of the Soviet Union. Osama bin Laden, for example, was asserting the credit for the collapse of the Soviet Union … goes to God and the mujahideen in Afghanistan … the US had no mentionable role, but collapse made the US more haughty and arrogant. As discussed in ‘The power of Nightmares’ many neoconservatives in the US also believed that through the US aid to the mujahideen the US had caused the collapse of the USSR. 17. ^ The CIA’s Intervention in Afghanistan (Interview with Zbigniew Brzezinski) . Le Nouvel Observateur. 1998-01-21. http://www.globalresearch.ca/articles/BRZ110A.html. Retrieved 2008-03-15. 36. ^ 1986-1992: CIA and British Recruit and Train Militants Worldwide to Help Fight Afghan War . History Commons. http://www.historycommons.org/context.jsp?item=a86operationcyclone. Retrieved 2007-01-09. On September 15-16, 2009 on the Islamic Night of Determination there is a strong possibility for activity. A major muslim leader will either declare himself, or Islam will cause some kind of disaster or war. Night of Determination is when God determines the course of the world for the following year. The Islamic who believes that he is to be the emissary of Allah, in order to bring judgment upon the infidels, makes this date a high risk date for a catastrophic event or a revealing/declaring of himself. This can occur any year on Ramadan. This date occurs on the 26th & 27th day of Ramadan which is right around September 15-16th. Note that Rosh Hashanah starts on September 18th, 2009 and Yom Kippur on September 27, 2009. There has been Seven times in history where the Muslims have declared some terrible war on Ramadan (August 21 to September 19, 2009). Is ‘American Hiroshima’ set for this month? Editor’s note: This exclusive report by Paul Williams first appeared in Joseph Farah’s G2 Bulletin, the premium, online, intelligence newsletter published by the founder of WND. Subscriptions to G2 Bulletin are now available at half price – $99 a year or just $9.95 per month. The next terrorist attack on the United States – a nuclear hell storm planned for seven major cities – is set to occur this month. That’s the word from al-Qaida. In a communiqu? to Osama bin Laden, Abu Musab al-Zarqawi, the top al-Qaida lieutenant in Iraq, mentions the Great Ramadan Offensive that will create a fateful confrontation with the United States and Israel. The communiqu?, dated May 30, was intercepted by CIA officials and remains on the Global Information System database that is accessible only to government officials with high-security clearance. Most U. S. intelligence officials dismissed Zarqawi’s letter as wishful thinking until Ayman al-Zawahiri, bin Laden’s second in command, appeared on al-Jazeera, the official television network of Saudi Arabia, to deliver a message to the American people. In the message, which was broadcast Aug. 8, al-Zawahiri said: What you have seen, O Americans, in New York and Washington and the losses you are having in Afghanistan and Iraq, in spite of the blackouts by your media, are only the losses of the initial clashes. … You will soon experience horrors that will make you forget the horrors you have encountered in Vietnam. The al-Qaida chieftain went on to say: Jihadist forces have been established in all of Western Europe to defend the powerless within the nation. For the crimes that the Crusaders have committed against the Muslims will be reaped by Christians and Jews throughout the Western world. Zawahiri’s video messages are viewed by intelligence officials as telling signs that a terrorist attack is imminent. His televised message Sept. 6, 2004, took place before the December 6, 2004, bombing of the U.S. consulate in Jeddah, Saudi Arabia, while his message of June 17, 2005, preceded the London bombings. Concerns about an October attack were heightened even more by reports that the radical Islamic community viewed the ravages of hurricanes Katrina and Rita as signs that Allah was pleased with the plans for the American Hiroshima. Allah has punished America with winds and water, one imam is quoted in the GIS report as saying. Another imam reportedly quipped that America, as evidenced by the natural disasters, is under the curse of the Jews. Christopher Brown, research associate with the Hudson Institute’s Transitions to Democracy project, maintains that the hurricanes have presented al-Qaida with a unique strategic opportunity. If this attack is launched soon, Brown said, the devastation to the American economy alone could easily far exceed that of the September 11 attacks and could be equivalent to the detonation of a small nuclear device on American soil. Ramadan represents the ninth month of the Islamic year, the month in which the Koran was revealed to the Prophet Mohammed. According to Muslim tradition, the actual revelation occurred on the night between the 26th and 27th days of the month. On this Night of Determination, Allah determines the fate of the world for the coming year. The fate of the world for the next Islamic year, if bin Laden has his way, will include the nuclear destruction of the United States. Bin Laden has been amassing nuclear weapons and materials since 1992, when he was in the Sudan. This was substantiated by the testimony of al-Qaida officials in federal court during the hearings of The U.S. v. Osama bin Laden. When he returned to Afghanistan, bin Laden purchased tactical nuclear weapons from the Chechen Mafia. News of the sale was confirmed by Saudi, Israeli, British, Saudi and Russian intelligence and reported in The Times of London, the Jerusalem Report, Al Watan al-Arabi, Muslim Magazine, Al-Majallah (London’s Saudi weekly) and by the BBC. In 1997, bin Laden made additional small nuclear weapons from materials bought not only from the Chechens but also black market sources in Russia, China, Kazakhstan and the Ukraine. In 1998, he purchased large quantities of highly enriched uranium from Simeon Mogilevich, a Ukrainian arms dealer. For one delivery of fifteen kilos of uranium-236, Mogilevich was paid $70 million. Bin Laden also purchased several bars of enriched uranium-138 from Ibrahim Abd, an Egyptian arms dealer and several Congolese opposition soldiers. From 1999 to 2001, bin Laden hired scientists and technicians from the A.Q. Khan Research Facility in Pakistan not only to build new nukes from the highly enriched uranium and plutonium but also to maintain, upgrade, reconfigure, and redesign his off-the shelf nukes, including nuclear mines, so that they could be packed into lightweight (less than eight pounds) suitcases and backpacks or molded into warheads that could be launched from 120 or 155 millimeter recoilless rifles. Upon the arrests of Dr. Sultan Bashiruddin Mahmood and Dr. Chaudry Abdul Majid, two top officials from the Khan facility, the CIA discovered that several of bin Laden’s tactical nukes had been forward-deployed to the United States from Karachi. More information concerning al-Qaida’s nukes came with the arrest in Pakistan of Sharif al-Masri, a key al-Qaida operative. Al Masri, an Egyptian national with close ties to al-Zawahiri, operative, informed CIA and ISI (Pakistani intelligence) officials that several tactical nukes for use in the American Hiroshima had been forward deployed to Mexico for transportation across the border by members of Mara Salvatrucha ( MS-13 ), a Salvadoran street gang. These developments caused both President Bush and Sen. John Kerry to speak of nuclear terrorism in the 2004 presidential campaign as the single greatest danger facing the American people, and for Vice President Cheney to say that a nuclear attack from al-Qaeda appears imminent. The seven cities targeted by al-Qaida for nuclear destruction are New York, Washington D.C., Miami, Houston, Los Angeles, Las Vegas, and Chicago. * 624 – The Battle of Badr occurred on 17 Ramadan when the Prophet Mohammed led his forces to victory over the Arabian tribes who opposed him. * 630 – The soldiers of Islam, under Mohammed, established a training camp in Tabouk during the month of fasting and attacked the Byzantine army. * 653 – During Ramadan, the Muslim army conquered Rhodes and melted the Colossus of Rhodes, one of the seven wonders of the ancient world, into weapons for the soldiers. * 1187 – The Battle of Hattin in which a combined force of Sunnis and Shiites destroyed the Christian army occurred the morning after the Night of Determination. * 1973 – On Oct. 6, Egyptian and Syrian forces launched a surprise offensive against Israel to launch the Yom Kippur or the 10th of Ramadan War. * 2000 – Al-Qaida launches the suicide bombing of the USS Cole in Aden harbor Yemen. The attack of Oct. 5 kills 17 and wounds 39 American sailors. In 2001, Dr. Fuad Mukheimar, secretary-general of the Egyptian Sharia Association, published an article in which he encouraged bin Laden to launch an attack against the U.S. during the holy month. During the month of Ramadan, Mukheimar wrote, a great Muslim victory was won over the Crusaders under the leadership of Saladin. His advisers counseled him to rest from the jihad during the month of fasting, but Saladin insisted on continuing the jihad during Ramadan because he knew … that fasting helps to [achieve] victory, because during Ramadan the Muslims overcome themselves through fasting, and thus their victory over their enemies is certain. Bin Laden, who views himself as Saladin’s successor, could opt to heed this advice. Ramadan began Tuesday, Oct. 4, and ends Nov. 2. The Night of Determination will occur Oct. 29. Paul Williams is the author of The Al Qaeda Connection. To read his follow-up on the heightened threat of nuclear terrorism during Ramadan, subscribe to Joseph Farah’s G2 Bulletin. Special offer: For complete coverage of al-Qaida’s Ramadan Offensive and Osama bin Laden’s American Hiroshima nuclear terrorist threat, subscribe to Joseph Farah’s G2 Bulletin, the premium, online, intelligence newsletter published by the founder of WND. Nuke terror set for Ramadan? How al-Qaida terror nukes got into U.S. If al-Qaida has nukes, why wait to use them? Above article was from a 2005 analysis – isn’t the 21st century as we count it – considered the 15th century according to the Islamic calendars? and the Night of Determination happens on the 15th of September? And personally, I still think that Al Qaeda and Osama bin Laden can be traced using patterns of action and thought to find where they are sitting. Those ideas and the money supporting them aren’t occurring in a vacuum. I watched the CNN news stories where they are currently discussing the operations in Afghanistan with reporters embedded there and I heard a very distressing term – “actionable intelligence” – and that there has been no “actionable intelligence” on Al Qaeda in the area and Osama bin Laden since 2001 – but that can’t be true, now can it . . . Terrorism by definition is a two-part exercise in insanity and perverse dysfunction. One part is that no one can look everywhere at once on hyperguard to prevent it for extended periods of time. And two, it breeds in the shadows of mass and professional agencies’ lethargy, apathy, contempt for concerns about it and incompetence among professionals and systems designed to prevent it, to secure against it and intended to thwart it once those terrorist acts are in progress. I don’t believe that incompetence among these professionals and agencies occurs naturally or by virtue of ignorance, lack of intelligence in application nor by cause of inability to function competently. It is because of the petty playground politics that begin to occur within the lethargy of still moments in the fight. Between agencies, the bargaining war for power, and the trite vendettas of slights among professionals over their pet projects, pet ideas, favored ideologies, their personalities and egos, takes precedence over the goals that they are intended to serve. That is the place where the terrorist leadership waits to find because in those spaces of time, there is nothing to hold them back. could the components of nuclear weapons to be constructed later on site be brought aboard a cruise ship as a tourist and then arrive in the Port of Los Angeles without anyone knowing it?